Regular readers of my musings may recall the appallingly mediocre service I received at the hands of Youi. I eventually rang them to ensure they had cancelled my policy, because they were still charging my credit card. 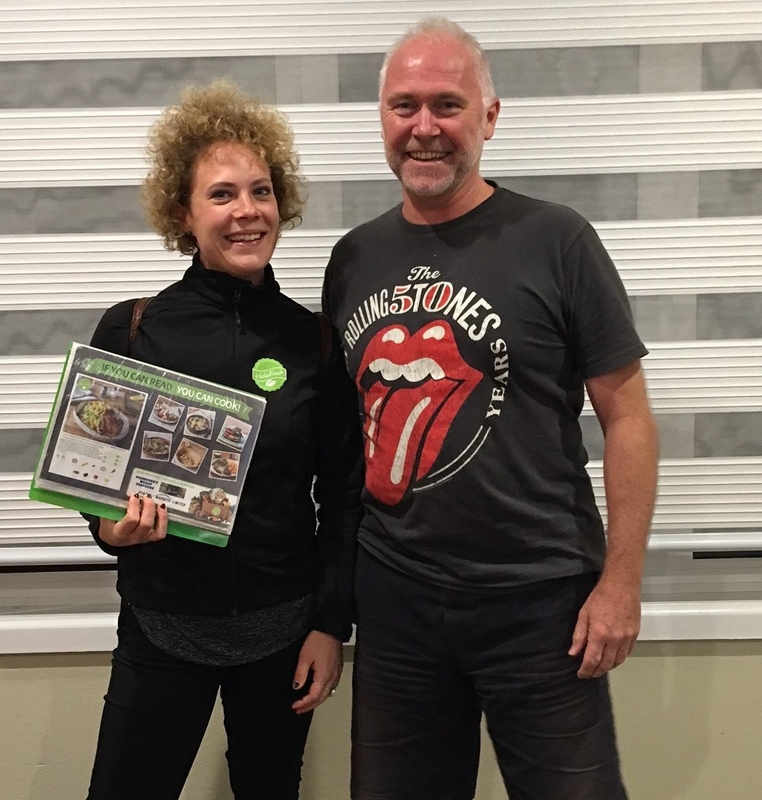 The lady who served me was wonderful and agreed I had received shocking service. She fully understood why I was leaving and was going to raise the issues with her supervisor. 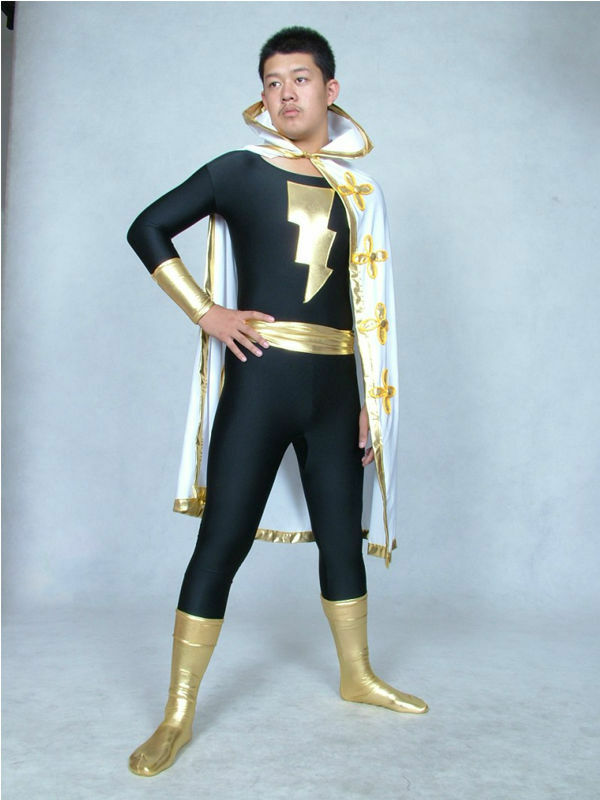 The supervisor was probably an awesome supervisor, most likely wearing lycra and a cape. After all, Youi constantly tell us how awesome they think they are. At the end of the call, the customer service lady said I would receive an automated survey. I mentioned I was aware of the survey (see previous post). I explained it was designed by fools and didn’t allow me to rate individuals like her really well, as it wanted an overall rating for Youi. She agreed the survey was badly designed and wished me luck. And you guessed it folks – the survey never arrived. I haven’t been a Youi customer for a couple of months now. So I ask you dear reader, what do you think arrived in my inbox yesterday? 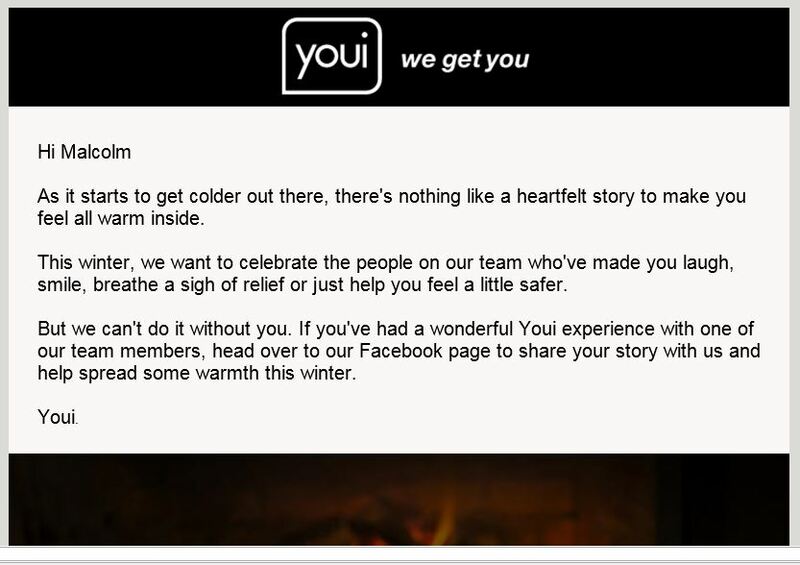 Yes, that’s right, another Youi email asking me to “share my winter warmers” – as if I was still a customer. There’s even a hashtag #winterwarmers to create digi-credibility. Malcolm, do you have a winter warmer to share? What is going on at Youi? 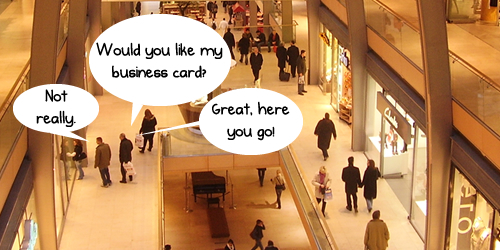 Why is the marketing automation so appallingly bad? 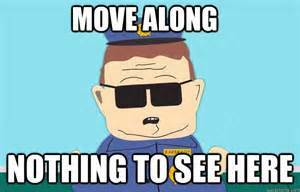 They have my complaint on record, in numerous blogs, social media posts, emails, phone calls and text messages. I’ve cancelled my policy. I am an ex-customer. 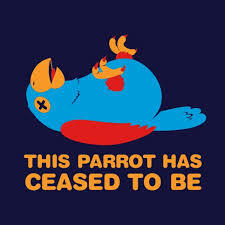 As John Cleese stated in the famous Monty Python dead parrot sketch; “this is an ex-parrot, he’s ceased to be”. And I’ve ceased to be a Youi customer – yet their marketing automation technology is still sending me customer communications – I bet their digital marketers call it content marketing? Why do they accept such marketing mediocrity? 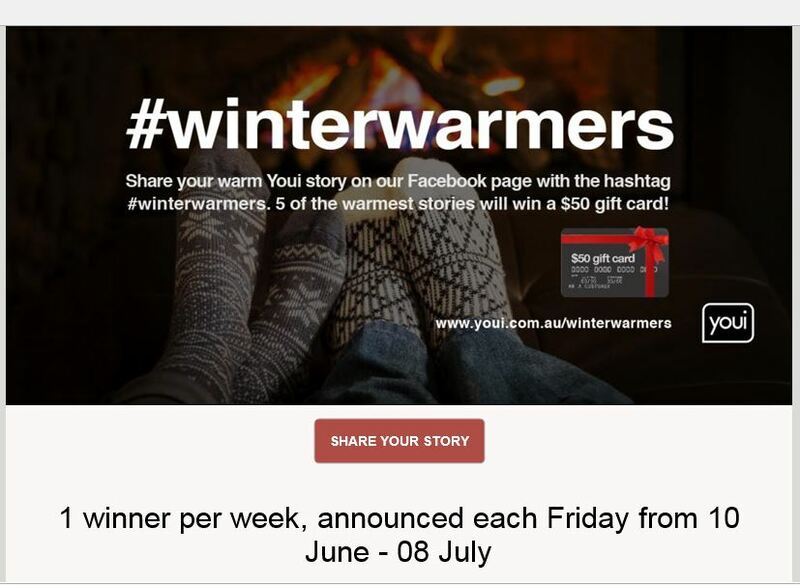 Even if I was a Youi customer, how am I supposed to remember the name of the person who served me, so I can mention them in my winter warmer? Certainly their CRM system wouldn’t be able to identify anyone linked to my account – that would require a simple computer system that works. And it’s pretty obvious Youi’s doesn’t – work that is. How is it possible that I cancel my policy, have a customer service person state they are raising the reason for my cancellation with their awesome supervisor, and Youi still gets it sooo wrong? Youi’s ridiculous tag line is “we get you”. Well they (and their marketing automation) obviously get you riled, frustrated, upset and p***d-off at the time-wasting they cause and the lack of service. Not to mention the lack of faith they create in modern data-driven automated marketing. Worse still, even if I was a customer, they want me to go to their Facebook page and help grow Zuckerberg’s bank account, as well as influence my social feed to Youi-oriented posts for the next month. What planet is the Youi marketing team living on? So dear reader, should I give them a red hot winter warmer and share my awesome customer experience journey? (I had to get some marketing jargon into the post) If you have a minute, please let me know your thoughts thanks. And if I am no longer a customer, does it mean Youi is in breach of the Privacy or Spam Act, by using my email address without my awesome permission? I was working in New York just prior to the first dot.con collapse. I still recall the chancers and opportunists standing on street corners with suitcases full of business cards. They were literally handing them out to any random passer-by, as the primary way to get traffic to their websites. An early form of geo-targeting by the first generation of digital marketers. The activity reeked of desperation, but hey, they were heady times. Rich veins of gold were just waiting to be tapped by the dot.con zealots. 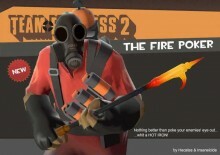 I’ve been reminded of those times again recently. It seems the street hustlers who harass you to support a charity, are now competing for sidewalk space with the latest cyber-hustlers selling online retail and App-based services. 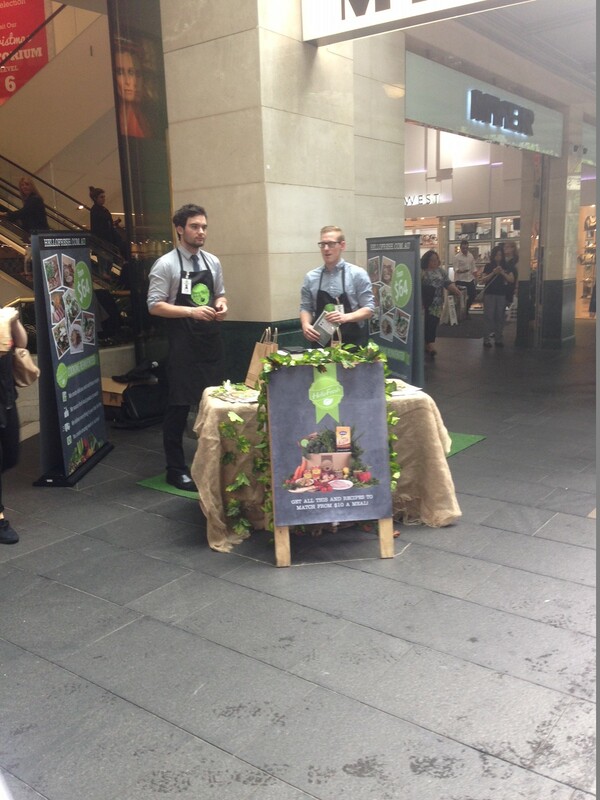 Hello Fresh promoters are everywhere. I mentioned them in my last post – they are major users of print distributed by mail, letterbox, inserts and face-to-face (or hand-to-hand as some now call it). 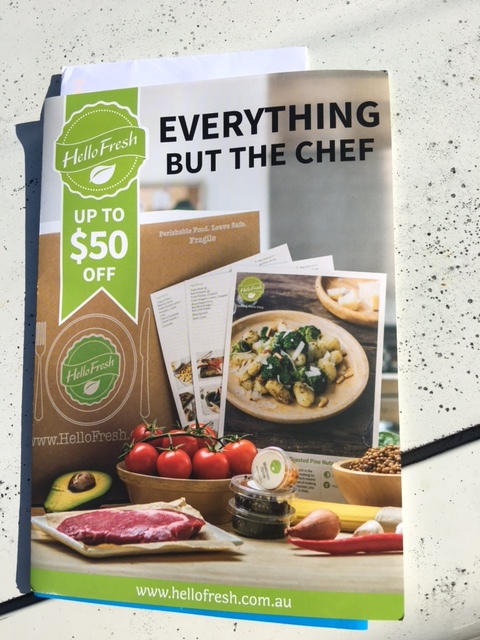 Interestingly, in a few short months Hello Fresh has moved from $30 off your first order to $50 off your first order. That’s not a good trend and indicates a very competitive market with too many suppliers. Watch this space for brand consolidation in the near future. Like 1999, the predictions are that some of these home delivered food brands won’t last. And sometimes fate steps in. 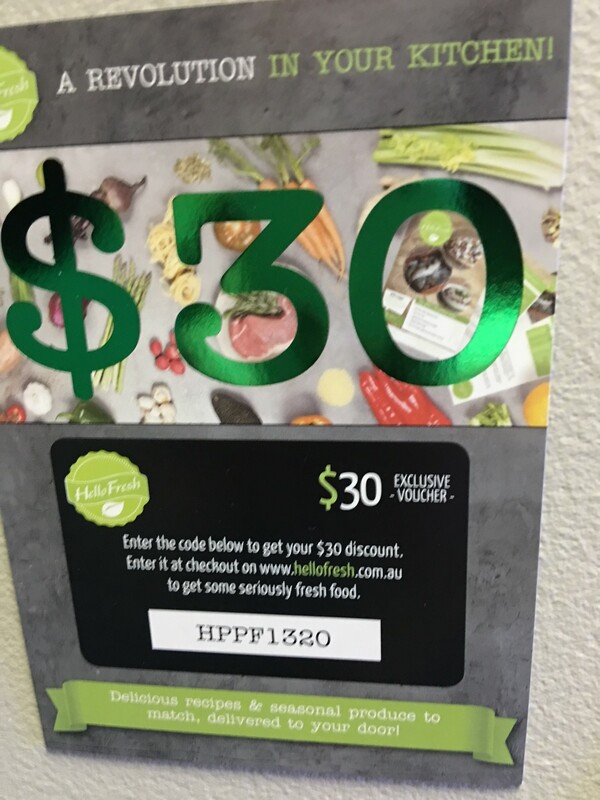 Just as I was finishing editing this post there was a knock at my door and a charming lady selling Hello Fresh appeared. She even agreed to a photo for my blog. I didn’t become a customer as we are well-stocked for food. 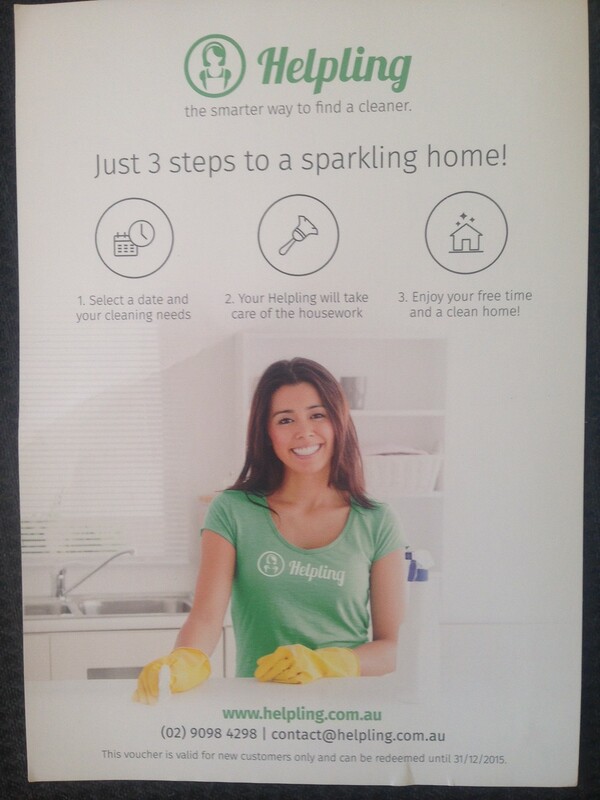 But what an innovative channel – knocking on doors to sell things. Did anyone see that digital disruption coming? Well it certainly disrupted dinner. 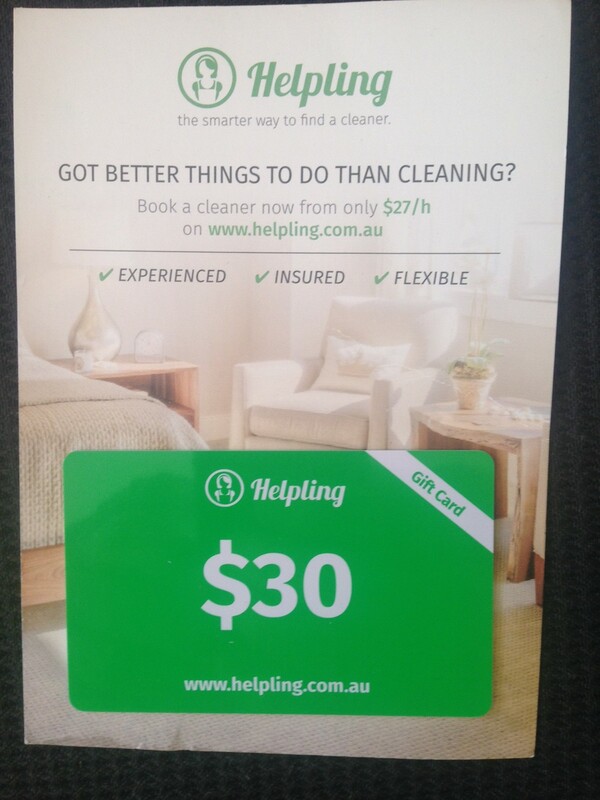 Helpling also uses printed inserts, brochures in letterboxes and hand-to-hand via street walkers to grow its business. Like all online retailers, they use that amazing digi-breakthrough of giving away a discount with your first purchase. This is a disruptive technique used by marketers for, hmmm, since the beginning of time! 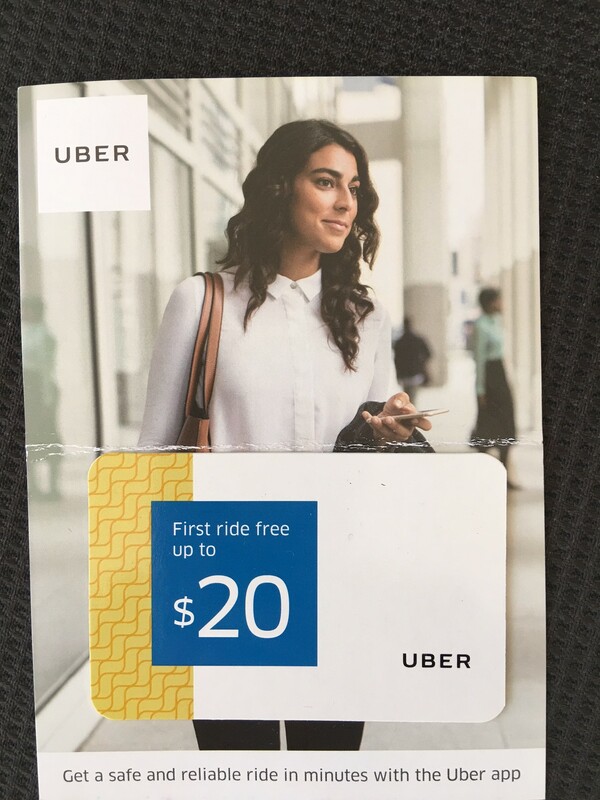 And this week, outside a CBD train station in Sydney, an Uber street walker shoved this in my hand. Now who in their right-digi-mind would have thought it possible? 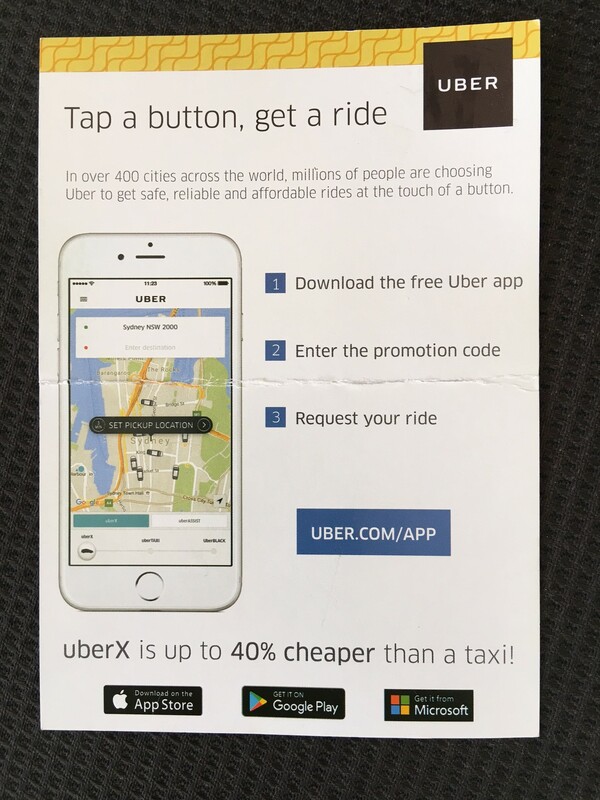 The disruptive taxi booking service for the App generation, is resorting to handing out printed leaflets in the streets, with discount offers, to acquire new customers? Uber is not the world’s biggest taxi service. It’s one of the world’s biggest taxi booking services. Airbnb is not the world’s biggest hotel – it’s one of the biggest accommodation booking services.